The weather was pretty crappy this weekend with the hurricane and I did something that I normally don't do, which was sleep in until almost 10am each morning and then spend the days only leaving my apartment a couple of times and instead spend most of the time reading. I also started watching Gilmore Girls, a show that I had surprisingly never watched despite my love of all things high school related (ie. Saved by the Bell, Gossip Girl, 90210, Dawson's Creek, One Tree Hill). I'm loving it so far and it's making me feel all sorts of nostalgia, especially with all of the references to Hartford, and even the CT Transit buses! I've been thinking a lot about high school lately and I've come to the conclusion that it's because it's now less than a month away from my 27th birthday. I'm kind of freaking out a little, even though I know it is not that old (and I have been told this by all my friends who are older than me), but I really am asking myself the question, "where did the time go?" I know I've changed a lot since high school but I still think of myself as seventeen most of the time, and that we are still in the 2000s. Ah! I'm not alone though because my dad has told me that he still think of himself as his high school self as well. When I was in high school thinking of my future self, I'm pretty sure that by the time I was 27 I thought that I would be 1. married, 2. have kids, and 3. live in a suburb with a big SUV and backyard. At the time I obviously was not considering any interests or hobbies post college, or even thinking about a career. I am glad that my life did not take that path (although there is nothing wrong with those who have chosen to take it) but it's interesting to think back on where my brain was almost ten years ago. Ok, now I have officially freaked myself out, and instead of pondering life's meaning for any more minutes, I'm going to focus on getting through the rest of this week!! 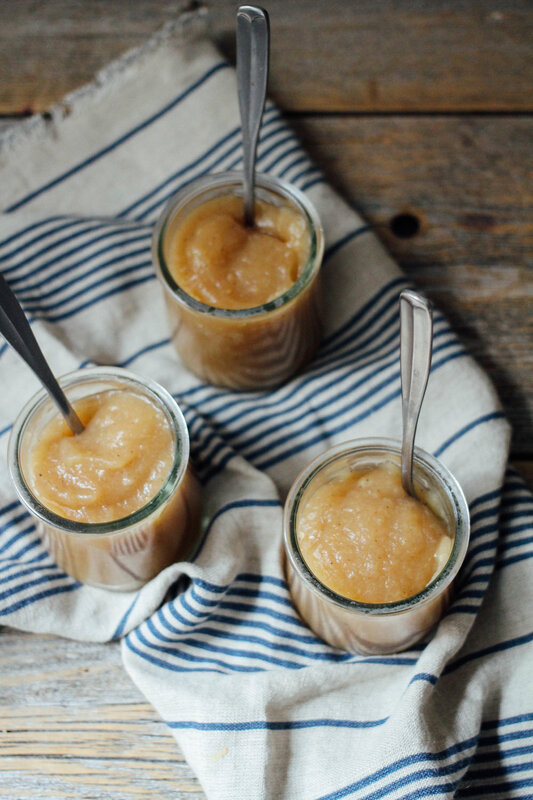 In New England, homemade apple sauce is a must. 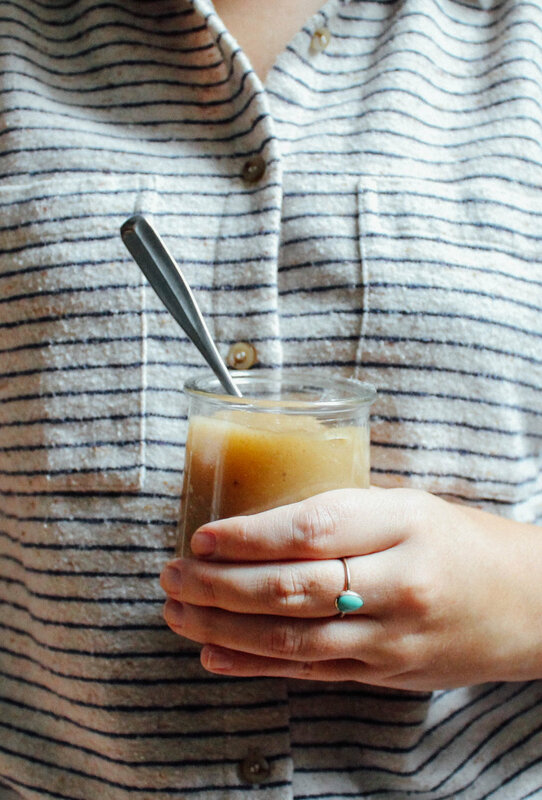 There's nothing better than having it warm with freshly picked apples. 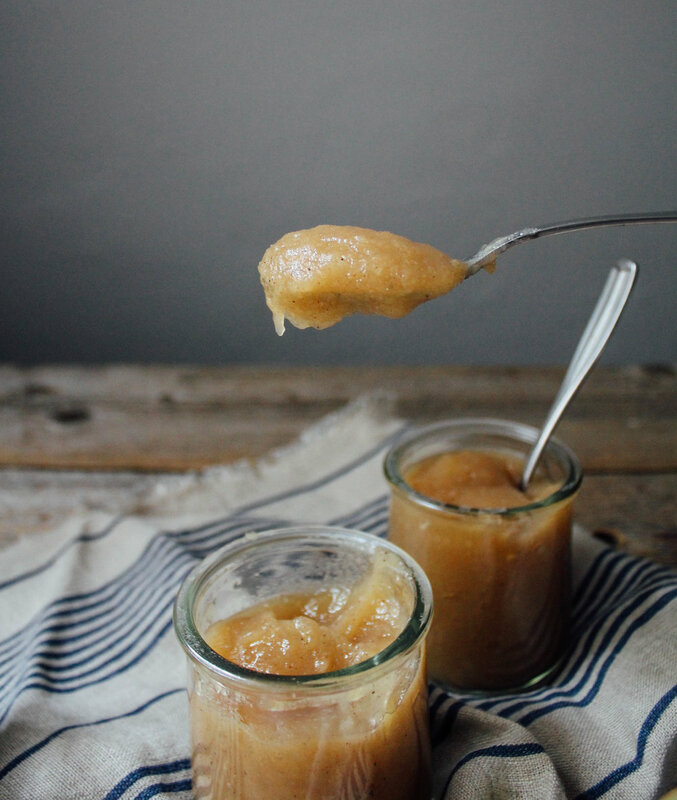 I remember being in elementary school and every time fall rolled around, one of our class projects was to make apple sauce. Thinking back on this, this project seems like concern for disaster, but we survived every year! This version includes cardamom and black pepper, which kicks the flavors up a notch. 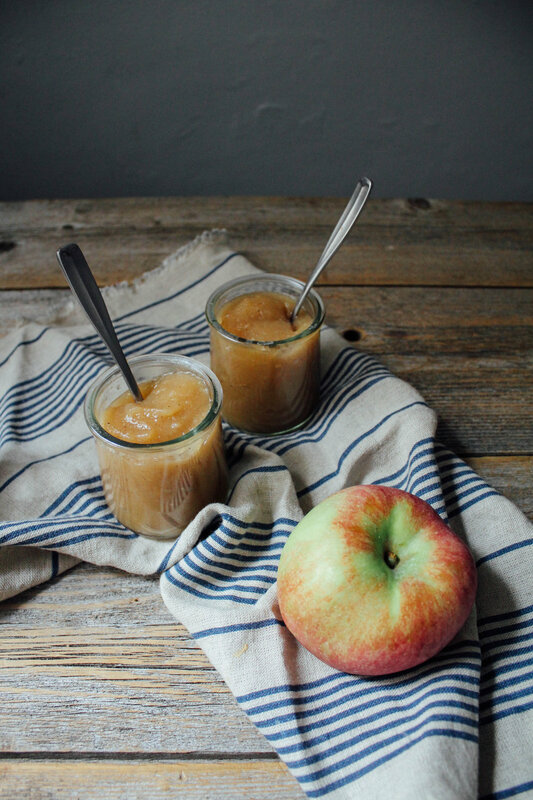 In a large, heavy bottom pot, add apples, brown sugar, cider, and spices. Cook over medium heat until the apples soften. Add water if it starts to dry out, to keep the mixture from sticking to the bottom of the pan or burning. When the apples are softened to the touch, either blend with an immersion blender or transfer to a blender and blend until almost smooth. I enjoy mine a bit lumpy. Spoon into serving bowls and enjoy warm!